The Sea Life London Aquarium is located on the ground floor of the old County Hall on the South Bank of the River Thames. 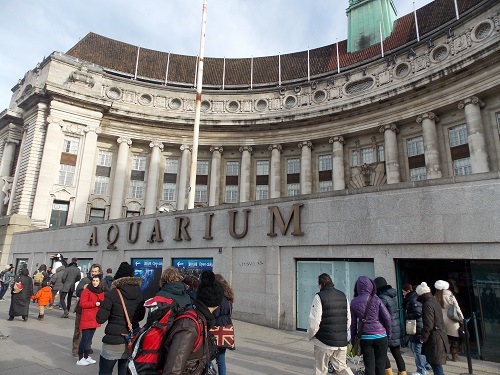 It opened in March 1997 as the London Aquarium and was renamed Sea Life London Aquarium in 2009. 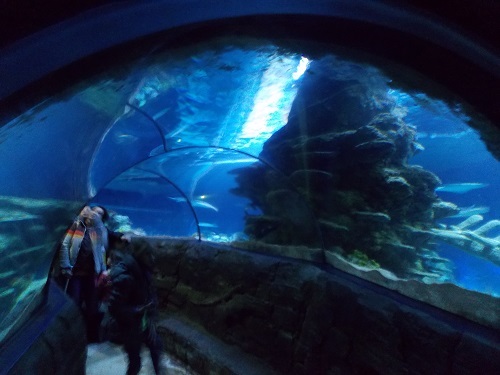 The Aquarium was taken over by Merlin Entertainments in 2008 and underwent a multi- million refurbishment. These changes have transformed what was once a dark and unexciting attraction. New attractions include a new underwater tunnel, Shark Walk, and revamped Pacific Ocean tank. In 2011 a new Penguin attraction was filled with penguins from Edinburgh Zoo. Sea Life London Aquarium has fourteen themed zones over 3 floors, visitors start their journey with a walk across the Shark walk. This is a glass walkway above a shoal of sixteen sharks, including two striking 2.8m brown sharks and a group of 10 sleek black tip reef sharks. 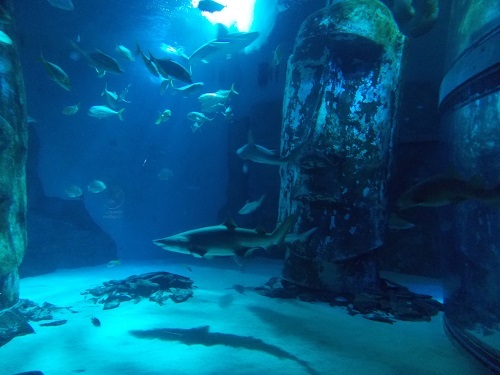 Further encounters with the Sharks lie within the Pacific display which spans three floors and dominated by a selection of imposing Easter Island Heads. Although there are over 40 sharks from 12 different species, they represent only a small part of the thousands of sea creatures from over 500 species on display. Each themed section has a number of displays which features creatures, plants and foliage from various habitats from all over the world. 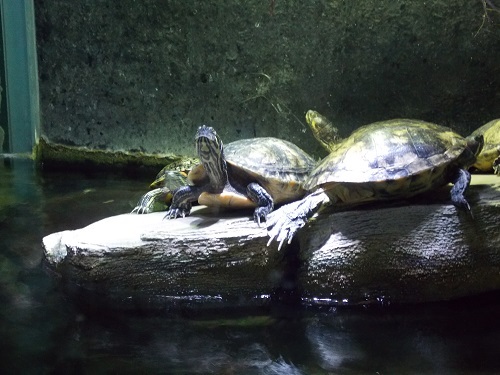 Sharks, Stingrays, Turtles, Octopus and Penguins are just some of the creatures on display, but there is plenty of variety and colour in the large number of tanks both large and small. The Aquarium has a large number of creatures that are on the endangered list, many have been rescued and cannot be released into the wild or have been born and bred as part of conservation projects. SEA LIFE have a large conservation programme which concentrates on Breeding, Seal Rescues, Re-homing and Campaigns. 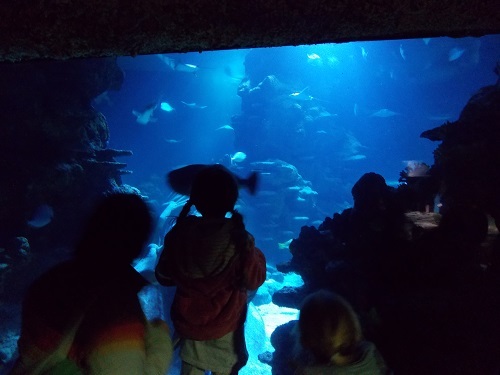 The Aquarium also has an education section to educate the numerous schools that visit about the various conservation causes the Aquarium supports. 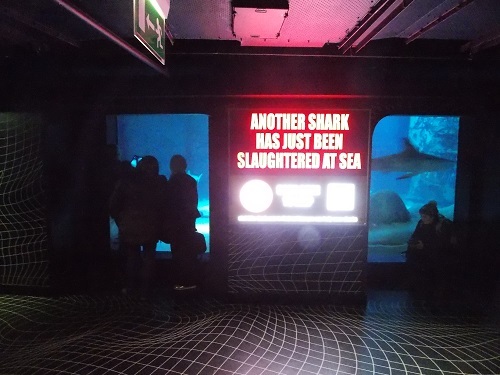 Throughout the Aquarium are displays that show why certain creatures are under threat in the wild. 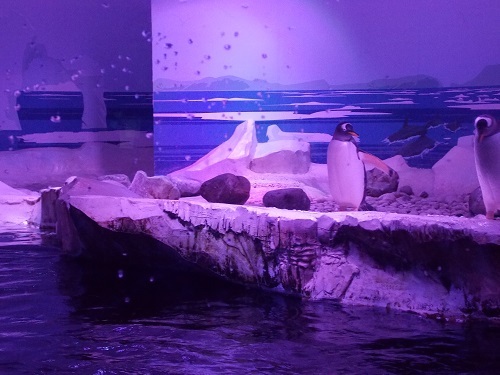 The Aquarium is especially popular with children and families because many of the displays make it easy for children to view and get close to the creatures, there are also opportunities to interact with the animals at public feeding, diving displays and touch pools. There is also series of talks throughout the day. The size of the Aquarium is something of a surprise, it holds over 2 million gallons of water and fills three floors of the old County Hall. Visitors follow a route through the attraction but you can take your time as you wander through the various sections. Based in an entertainment section of the South Bank, it attracts well over a million visitors a year and in peak times especially July, August and school holidays can be extremely busy. 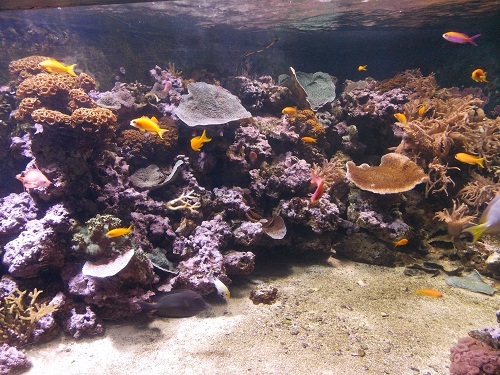 VLG Tips – The Sea Aquarium runs a large number of 2 for 1 offers often through third parties ie Newspapers, this can offer considerable savings. The Sea Life London Aquarium is part of the Merlin Entertainment group which also owns the London Eye, London Dungeon and Madame Tussauds. If you intend to visit more than one of their attractions buying a combination ticket can offer discounts.